Our product range includes a wide range of fully automatic pepsi candy machine, hotbar pepsi packing machine and semi automatic pepsi packing machine. 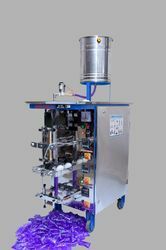 We are among the reputed names in the industry for manufacturing and trading Fully Automatic Pepsi Candy Machine. 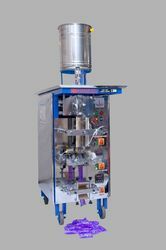 The offered machine is extensively demanded at beverage industry for packaging of products and ensures operation under stringent parameters if hygiene. This machine is durable, offers trouble free operation and latest in design. It is non corrosive and non abrasive as well. 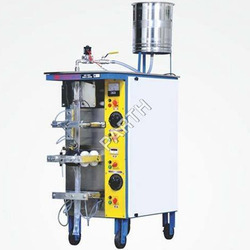 Model No- S518 , Purpose- Pepsi, Candy, Lassi, Juice , Packing Size- Length- 1" to 8" / 2" to 11" , Capacity- per hour 2200 to 2500 Pcs. 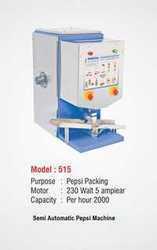 Model No- 518 , Purpose- Pepsi, Candy, Lassi, Juice , Packing Size- Length- 1" to 8" / 2" to 11" , Capacity- per hour 2200 to 2500 Pcs. Looking for Fully Automatic Pepsi Candy Machine ?